Green for Life is both fascinating and troubling at once. 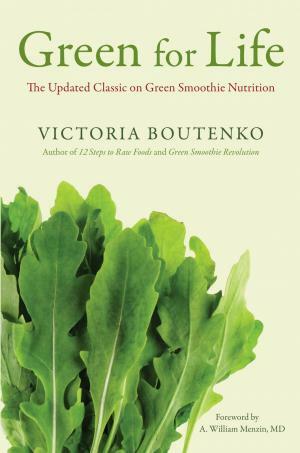 In a nutshell, Victoria Boutenko persuades the reader that people should consume one quart of blended greens per day. She further demonstrates that humans should be eating the same diet as chimpanzees, because "modern people and chimpanzees share an estimated 99.4% of our DNA sequence." Many folks may pick up this book expecting a cookbook; however, Green for Life mostly consists of health information and testimonials. Although a few recipes are included, they are a minority of the book's content, and placed in the very back; these recipes are designed more for health than flavor, foodies be damned. In each chapter of Green for Life, Boutenko discusses a different health topic: fiber, stomach acid, protein, alkalinity. Every subject concludes that consuming green smoothies is the best solution for overall human health. I felt reluctant to believe much of what I was reading, as there are not enough sources listed, a major flaw of this publication. There was also the issue of not knowing precisely what really constitutes as "greens" throughout most of the book. Chapter fifteen finally gives a list, though it's only a list of what the author and her family have personally consumed, and therefore not comprehensive. I would have liked this information to have been included at the very beginning. The testimonials from people who consume green smoothies are positive. So positive, in fact, that I was in disbelief. Could moles really fall off from drinking smoothies? Diseases be cured? Cataracts shrink? I hope this is all true, but it all seems too good to be. Green for Life does little to consider those with lower incomes and limited access to healthy resources. "This miraculous drink is available to every person in every country," Boutenko offensively states. Not everyone on Earth has access to quality blending machinery or healthy food. And this lifestyle change is a drain on time and money; few people can afford a Vitamix blender (or other equally high-powered blender) and daily supplies of organic produce. It is explained that a weaker blender and conventionally-grown produce would not yield the best results. Bummer. Though a good beginner's guide that is ripe for discussion, Green for Life requires further sources, study, and more consideration for those who have fewer means.